Each one of us has his or her very own special and unique personality. It’s a major part of who we are as individuals and set us apart from others. Each one of us has his or her very own special and unique personality. It’s a major part of who we are as individuals and set us apart from others. 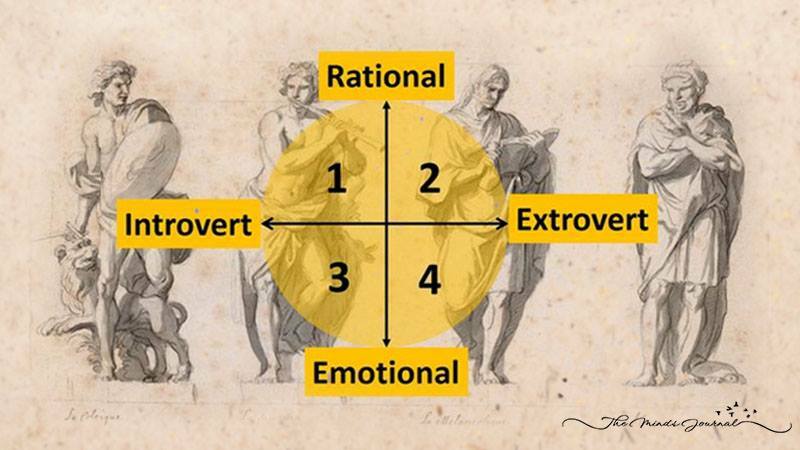 While we’re all different in one way or another, all of the many personalities out there in the world can be boiled down to simply four main personality types. They are the following; intelligent, emotional, introvert, and extrovert. Which one are you!? While you likely have an idea about which personality type you identify the strongest with, there may actually be a closer match! To gain a better understanding of how your brain is wired simply work through the following nine questions. This quiz comprehensively covers your thoughts, views, and responses to a range of situations and a variety of topics. The answers you provide will tell you whether or not you are the type of person you think you are, so click the “Let’s Play” button to begin and figure out exactly which personality type fits you best! Every single person is one of these four. Which are you? Please SHARE this with your family and friends to see which one of these personalities they are! Love Unconditionally: You Can Only Fit Into ONE Of These Four Personalities. Which Is It?